When it comes to choosing the best way to prevent pregnancy, it isn’t possible to make a blanket statement declaring one method better than all others. The birth control method that works for your friends may not be the best choice for you, and vice versa. Of course, it’s always a good idea to talk to your gynecologist about your options, but it helps to go in with some idea of what to expect. After all, if you have the basics covered, that gives you and your doctor more time to discuss the specifics for your lifestyle and preferences. 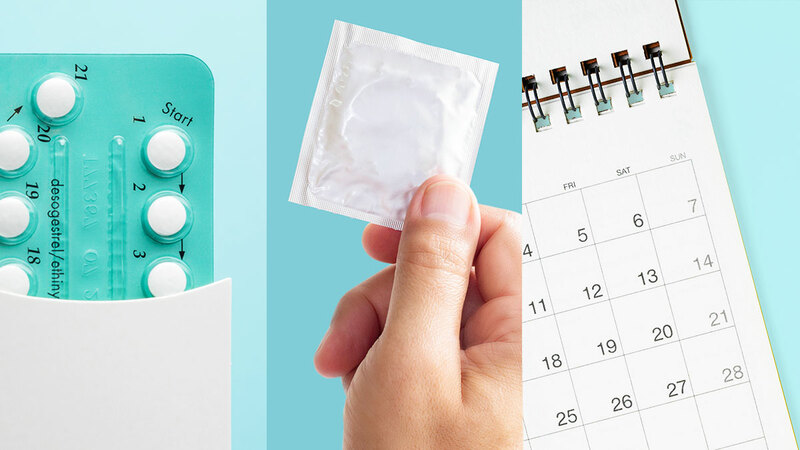 Keep reading to learn about six things you should consider when choosing a birth control method. When it comes to convenience, not all contraceptive methods are created equal. For example, fertility awareness methods like the calendar or cervical mucous methods require frequent monitoring and can be easily misjudged. Oral contraceptives, also known as the Pill, must be taken at around the same time each day, which can be tough to keep track of if you are constantly on the go. In contrast, the Depo-Provera injection is administered every three months. You’d just have to schedule a visit to the doctor and get the shot, then you won’t have to think about it until your next visit. IUDs (intrauterine devices) can be effective for five to ten years after insertion. No birth control method short of sterilization (such as elective hysterectomy) or complete abstinence is 100 percent effective. But most modern methods ensure a success rate over 95 percent with correct usage. So there are ways to ensure maximum effectiveness—as well as ways to compromise how well the method you’re using works. Fertility awareness methods like flow tracking and self-administered methods like the Pill can become less effective if you don’t follow instructions properly. Some methods may lose effectiveness when paired with other medication like antibiotics. Combining methods is recommended for decreasing the likelihood of pregnancy. Condoms are also the only contraceptive that help prevent sexually transmitted infections (STIs). One thing you should also consider is how long you want your contraceptive to be effective. For methods like the Pill, calendar method, cervical mucous method, you will find you’re fully fertile as soon as you stop. Meanwhile, other methods like the IUD or Depo-Provera injection may need a procedure or some time before you can return to fertility. Are you okay with birth control methods that require vaginal insertion? Do you have any problems swallowing pills on a regular basis? Do you have a fear of needles and injections? All these factor into your choice of contraception. If you prefer natural methods, the cervical mucous method will require you to check your cervical mucous or discharge on a daily basis. Another thing to factor in is your comfort in acquiring your birth control in a public setting. The Pill is available from drugstores with a prescription, and condoms are readily available at drugstores and convenience stores. However, if you don’t feel comfortable purchasing these out in the open, you may want to opt for a method that can be administered from the privacy of your doctor’s office. Of course, budget may be an issue for you as well. Different brands of the Pill may range from over P200 per month to just under P1,000. If you get the Depo-Provera injection, you will have to pay the cost of the actual injection plus your doctor’s administration fees. You may wind up paying anywhere from P600 to P1,200 per injection (every three months). An IUD may cost up to P20,000, not including the cost for the insertion procedure. Still, this is a one-time cost for a method that works for five-to-ten years, so if you have the cash on hand, it may prove a very cost-effective measure in the long run. Of course, your health should be your top priority when it comes to deciding which birth control method to use. We strongly encourage using condoms alongside other birth control methods as these not only prevent pregnancy, but they also reduce your risk of contracting STIs. Allergies should also be taken into account. An allergy to copper may make you an unsuitable candidate for IUD insertion, while a latex allergy would make condoms very uncomfortable for you. You may also want to consider whether changing your flow is an issue for you. Some methods, like the Pill, make your periods lighter and more regular. You may experience no periods or only light spotting when on Depo-Provera injections. Meanwhile, IUDs may sometimes result in heavier periods. Your body’s behavior should also be a factor. For example, if you have an irregular menstrual cycle, it is inadvisable to use the calendar rhythm method. Finally, you may be looking for more than just pregnancy prevention in your chosen method of contraception. As we have already mentioned, some methods promote the regularization or lightening of your menstrual cycle. Certain hormonal methods, such as the Pill, may also result in reduced period pain and help you control hormonal acne breakouts. Oral contraceptives are often recommended for preventing endometriosis from worsening and even reducing the pain this condition can cause. The Pill as well as IUDs have also been linked to reduced risk of cervical or endometrial cancer. Whatever method you decide on, we strongly suggest speaking to your gynecologist about what might work best for you. You should also make sure to get a gynecological check up on a yearly basis or however often your doctor suggests it.